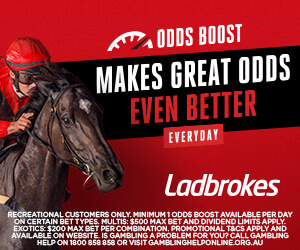 Australia’s richest race, the Everest, has fast become one of the big Spring racing events. 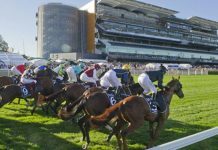 NSW Winners pro-punter Mark Rhoden previews Sydney’s premier racing event. Mark Rhoden: He raced pretty keenly in front last start, but prior to that he was one of the most consistent sprinters around. 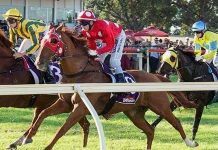 He handles the wet no problem and is a chance, I’m just not sure barrier 1 will be much help if he leads – there’s going to be a strong north-easterly which hits them side-on out of the chute, so the lower barriers may be disadvantaged. He’s raced at a high level for a long time and he just might be coming to the end of that run, and I wouldn’t want to be on him as equal favourite. He does tick a couple of boxes, but there’s some negatives as well. Mark Rhoden: He’s had an incredible 2018, winning the Stradbroke and then a great win the Premiere last time. I think he’s a real chance. He won the Stradbroke on the heavy. He probably goes back toward the rear here with some cover and I think he’s a good chance. Mark Rhoden: He’ll certainly like the wet. Probably rolls forward to anywhere from outside the leader to handy – I don’t think the wide barrier is an issue here. 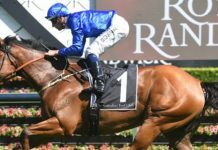 He ran quite well against Winx last start at a mile, and I’m not concerned about the drop back to 1200 in itself, but whether he’s going quite well enough to win a race of this calibre at this stage of his career? I’m not sure. But the wet track brings him into it. Mark Rhoden: I still think he’s a great chance, but his two really big wins have been in the Golden Rose and the TJ Smith on good surfaces. He’s gone okay on wet track – he ran third in the Sires’ as a two-year-old, which was probably the best run of his career to that point. 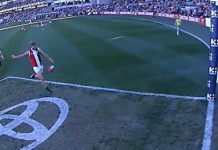 He’s by Snitzel and there’s not many of them that don’t handle it. I’ve thought all along he was set to explode in this race third-up, and I still want to be with him if possible… my enthusiasm is just slightly dampened by the wet. Mark Rhoden: Very solid, top-class sprinter. They’ll all be ready of course, but the Hayes camp will really have him set for this. The blinkers are back on. We just don’t know about the wet… Lope De Vegas are usually pretty good in it but he’s never seen anything worse than a Soft 6 – which he handled and won on, but this will be a different proposition. It’s a bit of an unknown and not sure I want to be on at the price. Mark Rhoden: He’s ticking over alright and looking for the 1200 I’d suggest. He was placed on the heavy in Japan so I’m prepared to give him half a tick on that score. He did fly in the Newmarket down the straight when just beaten by Redkirk Warrior, but apart from that his form’s just not good enough and he has to go to a new level. Unless he can pull out something like that Newmarket run, or he’s been looking for a heavy track, he’s not going to win this. He’d have to find his absolute top level again to be a chance. Mark Rhoden: His win in the July Cup is probably the best individual performance that any of these horses have turned in across their careers. It’s the highest-rating performance we’ve got here. Looking at the tape, it was an incredible win: a really tough, on-the-pace performance, and really strong up the hill in the last furlong. But from everything the camp are saying and what the form seems to suggest, he goes batter on dry ground. If not for the wet I’d probably have him favourite. I’ve still got him right up there… but I wonder whether they’d be running him if it wasn’t a $13 million race and they hadn’t come across the world for it, because it sounds like they really prefer a dry track. Mark Rhoden: She’s another one not really proven below a Soft 6 (which she did handle fine). Time Thief is a breed that generally handles it, but it’s a bit hard to know. She went well in the Premiere until Santa Ana Lane and Shoals got her late, so on that she’s competitive. I think she’s about the right price. Mark Rhoden: She’s won on the heavy so we can tick that box. She was tipped for this by a lot of people before this prep, but I couldn’t see it myself. But she was good behind Nature Strip first-up where she was run off her legs and chased well, and then at her last start really showed that she does belong at this level. I don’t like the inside barrier but the wet track is no problem, and if she runs to the level she produced last time, she’s in this. Mark Rhoden: Brilliant win at the Valley last start when she was suited by the tempo. She’s a bit of an unknown on a track this wet. The breed is okay on it. The barrier doesn’t put me of in itself, but I suspect they might go out with a plan to drag her right back, which will leave her with a hell of a lot to do. She’s got a great turn of foot but whether she can make up a lot of ground on a wet track, I’m not sure. She’ll have a lot to do. But she deserves a spot in the race. Mark Rhoden: I think he’s the one at big odds in the race at this stage. He maps three-wide no cover, but out of the chute that may actually be an advantage if he’s getting cover to his inside. He was great on a heavy track in the Run To The Rose, having no luck, and then was fantastic in the Golden Rose when he got much further than they’d have wanted. They pulled away from him late there so back to the 1200 will suit him, and as a three-year-old he gets a nice weight here. That could well come into play on a heavy track. I’d like to be on him at the price. Mark Rhoden: He’s a great horse and really has a lot of ability. He’s not a million-to-one chance, but he does really need an easier task than this. It was a great run in the Rupert Clarke but he’s up to weight-for-age here in a stronger race. I think he’ll fall short. 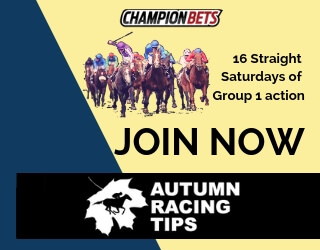 Trevor Lawson is just one half of our Spring Specials membership, bringing you tips for 25+ Spring racing meetings and events. 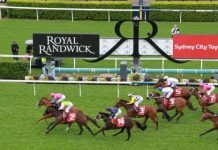 Join Trev and NSW Winners expert Mark Rhoden for their coverage of the Spring racing Carnival, including every Group 1 meeting until the end of the Melbourne Cup Carnival. 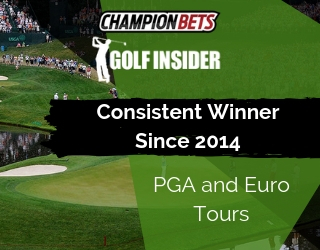 Don’t miss this opportunity to profit from two of our most successful punters this Spring.